Both manual and motorized retractable awnings have their own unique benefits. You know the benefits of owning an awning for your commercial or residential property, but now you have to choose between a motorized or manual retractable awning for your beautiful new installation. Retractable awnings are great for businesses and homes, as they can be taken down and stored when they aren’t actively in use. 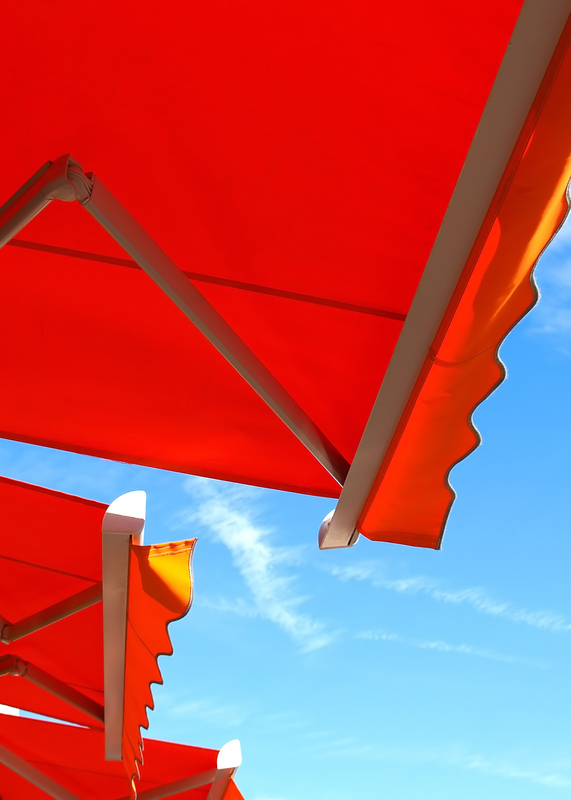 Whether your awning is prominently placed on Main Street proudly displaying your business’s name or framing your patio and providing much-needed shade, there are different pros and cons to both awning types. Motorized retractable awnings have numerous advantages for your home or business. Sensors can be installed as part of your retractable awning package. These sensors can detect wind and immediately begin to retract your awning to protect its structural integrity. Other sensors can be installed to detect sunlight and help keep your home cool and shady during the sunniest parts of the day. Manual retractable awnings also have many different benefits, especially when looking ahead at the lifespan of your awning. Whether you choose a motorized or manual retractable awning, Carroll Awning Company is ready to keep you and your house or business in the shade! Ready to get that perfect awning for your business or home? Carroll Awning Company has the expertise and equipment to make and install the perfect residential or commercial awning to give your home or business an even cooler exterior. We can design, create, and install custom canopies and awnings all year long. For a free estimate and to get started designing your dream awning, give us a call at 1-800-999-5617 or visit us online. To see examples of our work, follow us on Facebook, Twitter, Google+, and LinkedIn.